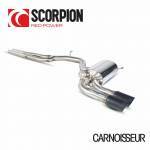 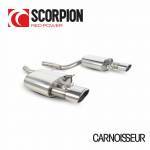 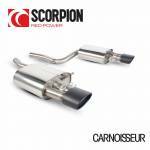 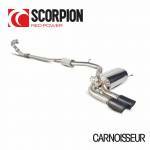 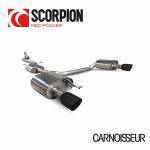 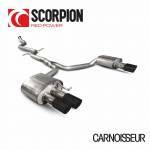 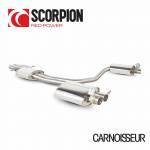 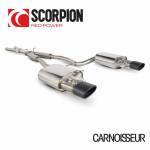 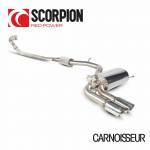 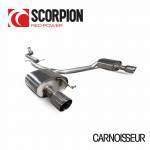 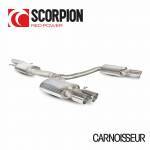 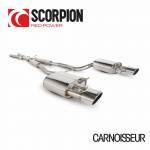 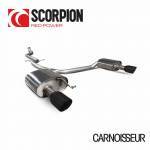 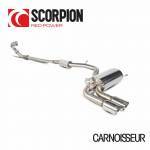 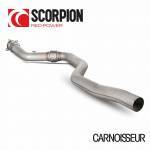 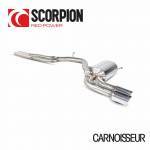 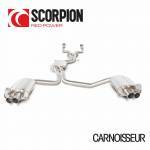 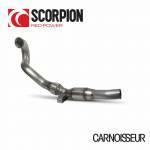 Carnoisseur have a full range of Scorpion Exhaust Systems. 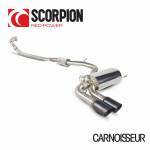 To view the Scorpion Exhaust Systems we offer simply make your selection below. 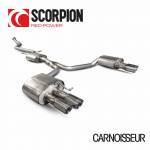 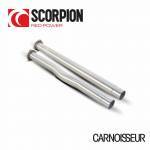 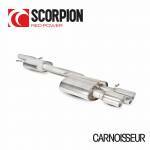 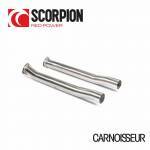 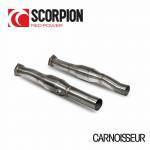 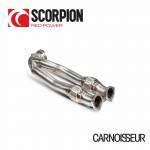 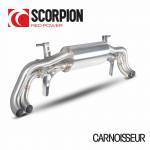 You can purchase Scorpion Exhaust Systems on-line or through our network of Carnoisseur Outlets. 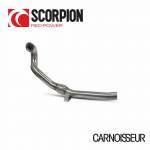 Fits to Scorpion and OE system / Pipe Diameter: 76mm/3"
Fits to Scorpion and OE system / Tailpipe: Daytona (twin) / Pipe Diameter: 63.5mm/2.5"
Fits to Scorpion and OE system / Tailpipe: Daytona (quad) / Pipe Diameter: 63.5mm/2.5"
Fits to Scorpion and OE system / Tailpipe: Daytona (twin) / Pipe Diameter: 70mm/2.75"
Fits to Scorpion and OE system / Tailpipe: Black Ceramic Daytona (twin) / Pipe Diameter: 70mm/2.75"
Fits to Scorpion and OE system / Tailpipe: Daytona (quad) / Pipe Diameter: 70mm/2.75"
Fits to Scorpion and OE system / Tailpipe: Black Ceramic Daytona (quad) / Pipe Diameter: 70mm/2.75"
Fits to Scorpion and OE system / Tailpipe: OE Fitment / Pipe Diameter: 76mm/3"
Fits to Scorpion and OE system / Tailpipe: Daytona / Pipe Diameter: 63.5mm/2.5"
Fits to Scorpion and OE system / Tailpipe: Black Ceramic Daytona / Pipe Diameter: 63.5mm/2.5"
Fits to Scorpion and OE system / Pipe Diameter: 63.5mm/2.5"
Fits to Scorpion and OE system / Tailpipe: Daytona / Pipe Diameter: 76mm/3"
Fits to Scorpion and OE system / Tailpipe: Black Ceramic Daytona / Pipe Diameter: 76mm/3"
Fits to Scorpion and OE system / Pipe Diameter: 70mm/2.75"
Fits to Scorpion and OE system / Tailpipe: EVO / Pipe Diameter: 63.5mm/2.5"
Fits to Scorpion and OE system / Tailpipe: Black Ceramic EVO / Pipe Diameter: 63.5mm/2.5"
Fits to Scorpion and OE system / Tailpipe: OE Fitment / Pipe Diameter: 63.5mm/2.5"